Gist’s Child Road Safety (CRS) presenters delivered essential road safety skills to over 2,700 schoolchildren across the UK as part of national Road Safety Week in November. To mark the week, an array of new giveaways – including reflective snap bands and keyrings – were launched and, with all participating Child Road Safety sites completing presentations, it proved a record result for road safety. Gist’s Child Road Safety programme began in 2011 with the aim to reduce and prevent the number of deaths and incidents of young people on our roads. The free-of-charge programme is available to primary and junior schools as well as community groups across the UK. 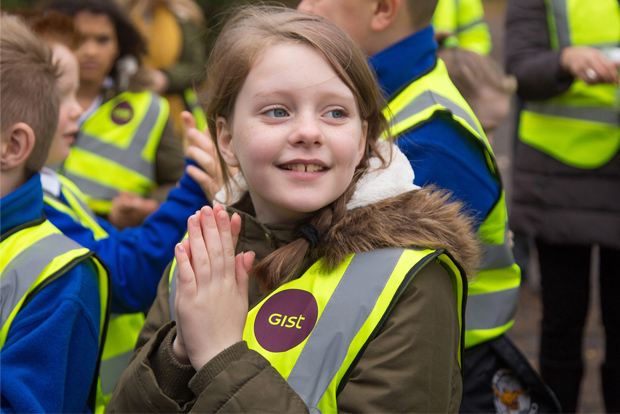 Throughout the 2017/18 academic year, Gist successfully raised road awareness amongst 25,500+ children – bringing the schemes total to over 120,000 since its inception. For more information, or to book a free-of-charge visit to your school, please visit Gist’s Child Road Safety page.